Saints Row series is known as the most funny and crazy action-adventures with the great open world and very peculiar humor. Its next installment is also going to be very hot, amusing and ridiculous. And the last Saints Row 4 trailer really proves this fact. New Saints Row 4 trailer is about the president of the United States. Recently he was a leader of a street gang, but now he is a chief and he is going to change the face of politics in the country. And his criminal past is not the only problem, because new president also has supreme powers and will be fighting against aliens. You would also vote for him, wouldn't you? 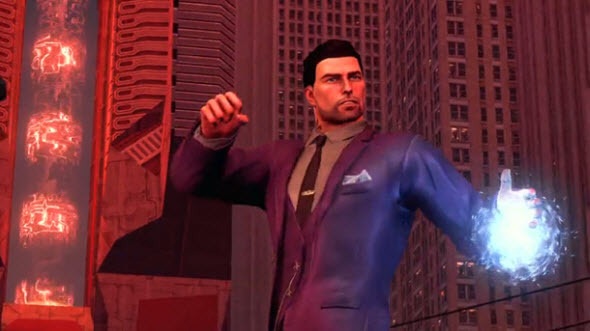 In this Saints Row 4 trailer we will see the main fantastic powers of the protagonist: great strength, flying ability and the talent of mind control. And we can only guess, which other surprises the developers have prepared for us. Saints Row 4 release date is scheduled for the 20th of August, 2013. There will be Saints Row 4 for PC, Xbox 360 and PS3.